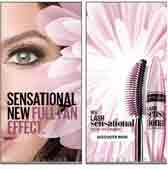 Discover how to be sensational with the new Maybelline Lash Sensational full fan effect mascara. The Lash Sensational mascara features an exclusive fanning brush with ten layers of bristles that reveals layers of lashes for a sensational full-fan effect. 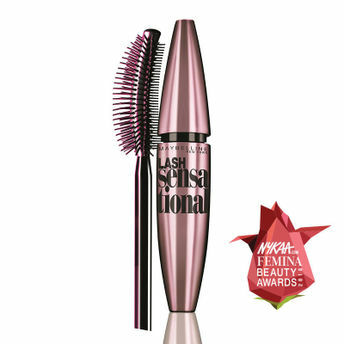 It captures lashes from root to tip for a full-fan effect to give you layers of denser, more voluminous lashes. The sensational serum nourishes lashes and unfurls 100% layer to give dramatic looking eye lashes with just one swipe. The Inner brush gives volume to lashes and reveals every lash while the outer bristles fan out lashes. Available in 2 types - Washable mascara and Waterproof mascara. Additional Information : A world renowned cosmetic brand, Maybelline New York is known for its scientifically-advanced makeup formulas, revolutionary textures and up-to-the minute, trendsetting beautiful makeup products that are affordable and make you look effortless and stunning. With Maybelline, it's all about empowering women to make a statement and explore new looks each day! 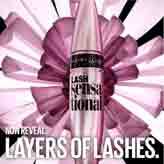 Maybelline New York introduces the new Lash Sensational mascara to get the most sensational full-fan effect. 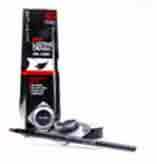 The special Lash Catcher wand captures all your lashes, from corner to corner, even the shorter ones!
. Inner brush volumizes, reveals every lash.
. Outer bristles fan out lashes.
. Available in Waterproof and Washable variants.
. Suitable for contact lenses. Explore the entire range of Mascara available on Nykaa. 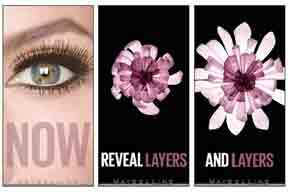 Shop more Maybelline New York products here.You can browse through the complete world of Maybelline New York Mascara .Alternatively, you can also find many more products from the Maybelline New York Lash Sensational Mascara range.